No, just look up absurdism. I believe that people, as part of their innate survival mechanism, desire to have or be a part of something greater than what is around them; it gives them purpose and hope in this painful life that seems to lack it. I use to be all for it being illegal, but after a while I started seeing it as a new type of tobacco; it would be much more cost effective to just legalize and regulate it. Besides, it's your own fault if you want to breath in a harmful substance. I like having my information, even if it leads to dissatisfaction. In the Name of Jesus Christ i command he demons speaking through you to be silent right now. I know i have authority over you, because Jesus Christ has given it to me. Oh, so now you have authority over another person because "Jesus" has given you it? That's dangerous thinking you know; soon you'll be saying that you have authority over everyone, and when that happens you'll be the most foolish person ever. I'm going to call you out as a troll. Though I myself made jokes throughout my responses, I did still give some actual questions to critically discuss. You on the other have just basically been saying "praise jesus". You are a fail troll whom is far too easy to identify. 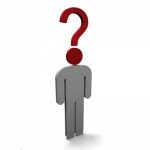 Would you rather be unknowing but satisfied, or knowing but unsatisfied? Winning Position: Your favourite culture? Is the Cosmological Argument valid? Is Christianity an offshoot of Judaism? What do you think of Alan Watts? Winning Position: What do you think of Alan Watts? How do you feel about a nomadic lifestyle? Winning Position: How do you feel about a nomadic lifestyle? "account no longer in use"